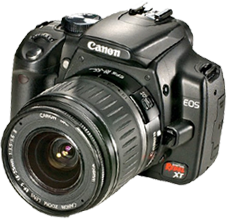 Give FREE Estimates- Upon delivery of your camera we will promtly diagnose any fault and notify you of the repair estimate. Welcome to Don Clark Camera Repairs, we are an independent photograhic repair business with over 50 years of combined experience on both digital and film cameras. Our workshop is easily accessed from both the M4/M5 motorways, just 10 minutes from J14 M5 or J18 M4, we stock a large supply of spare parts and have parts accounts with all major manufacturers. We also stock the following...Cameras, NEW AND USED EQUIPMENT WESITE COMING SOON, frames, albums, batteries, memory cards, Hahnel battery chargers, Hahnel digital camera batteries, printer ink, digital photo paper and much more, contact us for more details or just pop into the shop. We also develop and process film and digital pictures, canvas wraps, transfer video, slides and cine film to dvd, please contact us for more details.